David Gordon Green’s Joe arrives in UK cinemas and on VOD today. It’s a coming-of-age tale about a teenage boy, Gary, taken under the wing of an ex-con, Joe, while being raised by his abusive father, Wade. 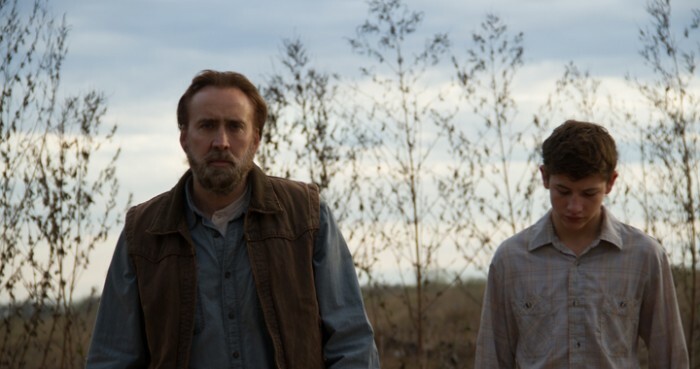 The film boasts three stellar performances from Mud’s Tye Sheridan (Gary), newcomer Gary Poulter (Wade) and Nic Cage as Joe – sporting his first ever on-screen beard. It’s considered by some to be a return, of sorts, to Green’s earlier film-making days, when he developed a knack for working for younger and non-professional actors in his home state of Texas. Since then, he has gone on to make everything from mainstream comedy (The Sitter) and TV series (Westbound and Down) to stoner crime flicks (Pineapple Express) and existential drama (Prince Avalanche). What ties together such a varied career? We sit down with the director and chat tacos, TV, facial hair and the cult of Tye Sheridan. We start with the most important subject: Nic Cage’s beard. Nic got involved after David sent him a letter with the script, saying what a big fan he was and wondering why he hadn’t worked in a year. The pair met in Austin, where Green hails from, and had that taco – “Maudie’s Too in Austin. You should go. 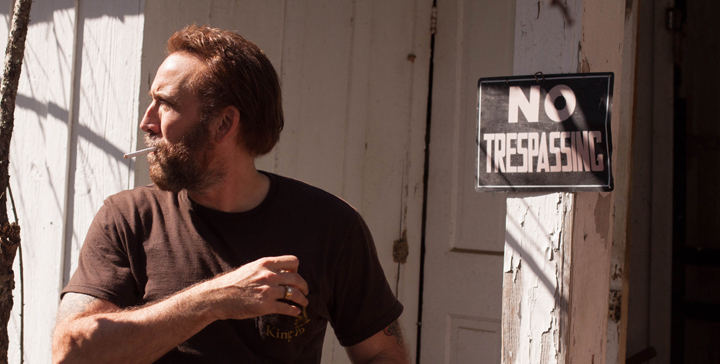 All the best tacos are in Austin.” – and Nic agreed to be in the film. And grow a magnificent beard. It’s a smart bit of casting from the director, who is well aware that the actor’s reputation for loud and crazy means that putting him in a quiet, restrained role leaves you waiting for an outburst. The film constantly wrong-foots you in that sense, hopping between kindness and violence in a way that echoes Cage’s uneasy balance between calm and anger. In one scene, a character attacks another, only to pause moments later and gently kiss them on the head. Gary Poulter, who plays Wade, was a homeless non-professional who tragically passed away soon after filming finished. “He was just a true talent, raw and unnurtured,” says Green, sincerely. He explains that Poulter just “showed up” at a bus stop when they were researching the piece. Poulter auditioned for one part, but was so impressive that they asked him to come back for another part. Then, they suggested he try for the role of the dad. The director has repeatedly worked with non-professional actors as well as trained performers. Gary, he says, was “very disciplined”. Letting loose brings us back to that idea of restraint, which Joe echoes by introducing a brutal pet dog. The idea of civilised human versus animal off the leash may not be subtle, but it’s a big part of how Green thinks of the project. That mix of outdoor adventure and coming-of-age recalls another movie: Jeff Nichols’ Mud, which also starred Tye Sheridan and had its own snake scene. When we start talking about Tye, Green races off again, excited. The young boy first impressed Green in Tree of Life, when Terrence Malick’s casting director found him. When Jeff was making Mud, he shared a producer with Terry and was invited to the editing room to see Tye. The same thing happened when Nichols was editing Mud: David was in the cutting room and decided to approach him too. Tye Sheridan, it seems, is something of a cult, a movement that secretly recruits new members in editing rooms across the industry. The film begins with a shot of the young boy and his dad sitting down in the sunlit forest, before cutting to Nic Cage’s older man laying in bed awake. For a while, you actually think you’re watching a flashback. Was that an intentional move? Green’s storytelling skull partly lies in his ability to use structure and visuals so subtly to inform his cast’s natural performances. That attention to composition extends to the beginning and end of the film, which echo each other in a cyclical way. But while he is technically astute, Green also has a loose approach to material and process – the kind of laid-back vibe you can imagine from a guy who directed Pineapple Express. True to form, he admits, the ending was re-written two-thirds through production. After Pineapple Express, Green stuck with James Franco and Danny McBride for Your Highness, before going on to make The Sitter – the most mainstream, and least acclaimed, movie of his career. 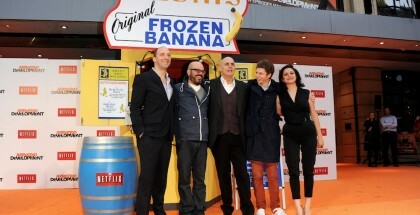 Since then, he has directed Prince Avalanche and Joe, which were both better received and made on lower budgets. How does David feel about the perception of Joe as a “back to roots” indie project? But one vein that has run throughout his work is his sense of humour. While he agrees that it’s remained the same – “Some people say the opposite, but…” – he acknowledges that it gets reined in depending on the project. More than that, though, he appears to enjoy the negotiation of boundaries. He laughs – something that you do in both Prince Avalanche and Joe, despite their serious appearance. The other constant in David’s life has been Danny McBride, who, along with Jody Hill and Green, co-founded the production company Rough House Pictures. McBride and Jody, he says, know him well enough to stop him being “overly self-indulgent”. “He’s there as support but also challenging me. We just finished this movie with Al Pacino, Manglehorn [which sees Pacino play a locksmith who is still hung up over the love of his life] and it’s great. Are he and Jody usually right? His back catalogue may appear haphazard, but his career’s consistent mix of serious and funny, dark and light, big and small, seems logical when you hear him talk about beards and tacos as casually as he does his creative process. For Green, you get the impression, it’s less about mainstream vs indie and more about familiar vs unfamiliar. He dreams of his career being like Werner Herzog, he confesses, where he can “make movies all over the world and chase the craziness of humanity on its uncivilised journey”. Spending time in Texas, though, is still a priority – David has recently become a father as well as filmmaker. Joe, then, is perhaps more a geographical homecoming than an artistic statement of independence. Departure is a key word for the director, who embraces new territory as much as he extols the virtues of tacos in Austin. The changing world of digital, then, is one more frontier to explore. 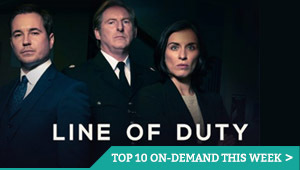 He highlights the creative freedom VOD content offers to “get away with doing things we wouldn’t have been able to do” in a cinema or a TV series. Apart from Amazon – “I just got my account there!” – does he use any other streaming VOD services? With Joe out in cinemas and on VOD the same day, how does he feel about digital distribution? He recalls going to see Only God Forgives, which was given a day-and-date release in the US. Even that torn desire between digital and theatrical seems apt for a guy so happy chasing every opportunity he can. He remains upbeat about Amazon’s Red Oaks. He may refer to Nic Cage’s character Joe as a dog, but you get the impression that David Gordon Green is the one always playfully tugging at a leash, no matter what it’s attached to. “We’ll see what happens,” he finishes, optimistically. You can almost hear him running across the car park for the next taco to come his way. Joe is out now in UK cinemas and on Curzon Home Cinema. Head this way for our review.